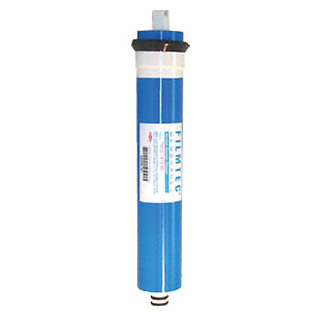 DOW Filmtec TW30-1812-75 Reverse Osmosis Membrane. Processes 75 gallons per day. Filmtec TMF-75 RO replacement water filter membrane that fits many standard RO systems. TFM / TFC stands for "thin film composite" membrane. This membrane is being discontinued. Has been replaced by FT-BW60-75D membrane. Filter model: DOW Filmtec TW30-1812-75 TFM75 membrane. Also known as: Filmtec 339146 .